Read our customers' honest and impartial Vauxhall Mokka car reviews and ratings to easily find your next car at Motorparks. I love my Mokka. So comfortable and a smooth drive. 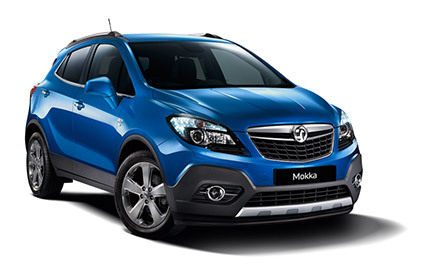 I am extremely pleased with the Vauxhall Mokka which I recently purchased from you. Phil was the sales person. I have just returned from Kent and the car's performance was excellent. Our friends were also impressed. Slight vibration from exhaust on start up and tick over. But cancels out. Will have it checked out when I bring it in on service plan if not before. After looking at the various reviews on crossover vehicles I decided to go with the Mokka which, in my opinion, is one of the nicest looking and a very comfortable car with generous kit, albeit I do agree that bumps in the road do transmit to the interior somewhat, but that being said I am pleased with my choice of a Mokka. I bought a 3 year old Vauxhall Mokka 1.6 on the 27/06/2018. The car is easy to drive and handles well. It has fierce air conditioning, perfect for hot weather. Front and rear parking assist. Good quality audio and phone. Good interior space and adequate boot with drop down rear seats if required. Leather seats with front seats being heated. Highly satisfied. I am delighted with my Vauxhall Mokka. It is comfortable, easy to drive and feels very safe. I love the fact that it is so easy to get into and I enjoy the level of visibility the height of the car engenders. I absolutely love it!! Had a fabulous drive to Scotland and back. Comfy, responsive, great fuel economy. Great little car. It's a lovely drive. Driving made easier especially because I've had a hip operation - should of had one of these a long time ago. The Mokka SE is a great car. The diesel one I have is noisy at low speeds but fine on the motorway. Bluetooth phone is not great and volume has to be on low to avoid echoes for the other caller. Overall I am pleased with the build quality and hope reliability is there in the long run.